Chennai Super Kings (CSK) will play with Kolkata Knight Riders (KKR) in the match no 23 of VIVO Indian Premier League (IPL), 2019. 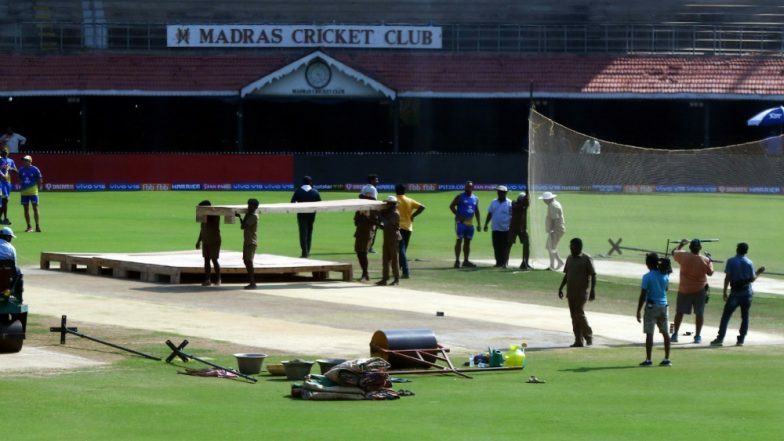 The match will take place at MA Chidambaram Stadium, which is Chennai's home ground. Both Chennai and Kolkata are sitting at the top of the point table with 8 points. CSk won their last game against Punjab, while Kolkata defeated Rajasthan in their own fortress. Let us have a look at the weather and pitch report of the upcoming between CSK and KKR. Chennai Super Kings vs Kolkata Knight Riders Live Cricket Score 23th T20 Match. The temperature will be not that warm at Chennai in the evening when the game will begin. 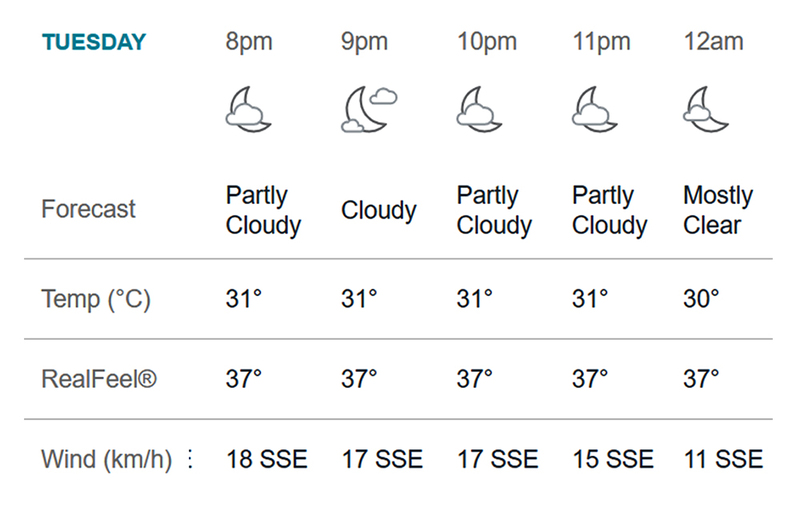 However, as per accuweather.com, it will be partly cloudy from 8 pm to 12 am, which is the time when action between the two teams will take place. The wind will blow at a speed of around 16 km/h which will help pacers a lot. We will just hope that the rain does not play a spoilsport in the much-awaited game between Chennai and Kolkata. CSK vs KKR, IPL 2019 Match 23, Key Players: Andre Russell to Faf du Plessis to MS Dhoni, These Cricketers Are to Watch Out for at MA Chidambaram Stadium. Pitch Report: The pitch at MA Chidambaram stadium assist the spinner. The last match played at this venue between CSK and Kings XI Punjab (KXIP), saw Punjab unable to chase the total of 160 runs, also they were struggling against the spinners like Harbhajan and Imran Tahir. In today's game, spinners from both teams will play a major role.